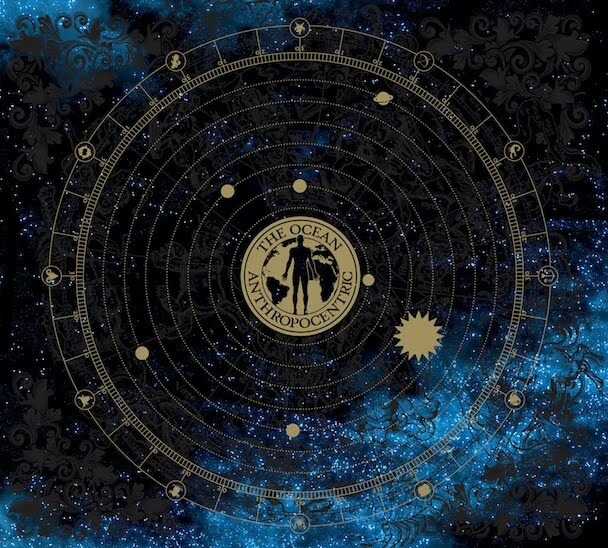 Anthropocentric's title track is the first song on the album and it immediately sets a different tone from Heliocentric. Instead of a quiet build up you have Loic Rossetti screaming out the lyrics and the rest of the band jumps in with an aggressive jam. The band switches from thick sounding guitar riffs to expansive musical landscapes throughout the nine and-a-half minute long opener. Loic's singing follows each trend as he effortlessly changes between harsh yelling to clean vocals to accompany the mood of the music. The title track gives a great indication on what is to follow on the rest of the album. Lyrically the album follows the same themes from Heliocentric. The songs question the ideas of creationism such as the Earth only being 5,000 years old and that Earth is the center of the universe (among others). The Grand Inquisitor is a multi-part suite that spreads across the record which is inspired by the chapter of the same title in Fyodor Dostoyevsky's novel The Brothers Karamasov. Yeah, I haven't read/heard about it either but at least these guys have a bit of an education behind them. Other stand out tracks are She Was the Universe and Heaven TV. At the end of the day I really enjoyed this album, much more than Heliocentric from earlier this year. The entire album is great from start to finish and it is definitely more aggressive. The next time I'm in a music store I'm going to be scoping the place to see if I can find some of The Ocean's back catalog because after two albums I'm pretty hooked.